Once upon a time, we sat in front of glowing square boxes, and broadcasters delivered signals through a cable sticking out of the wall. We watched what they told us to watch when they said we could watch it. Today, content consumers stream anything they want, as much as they want, whenever and wherever they want. And it’s got to be there instantly and look really good. The demand for streaming content at very high bit rates has forced broadcasters to rethink their infrastructure models, triggering distributed video over IP. This is bringing together broadcast engineers and IT departments that used to be completely separated. 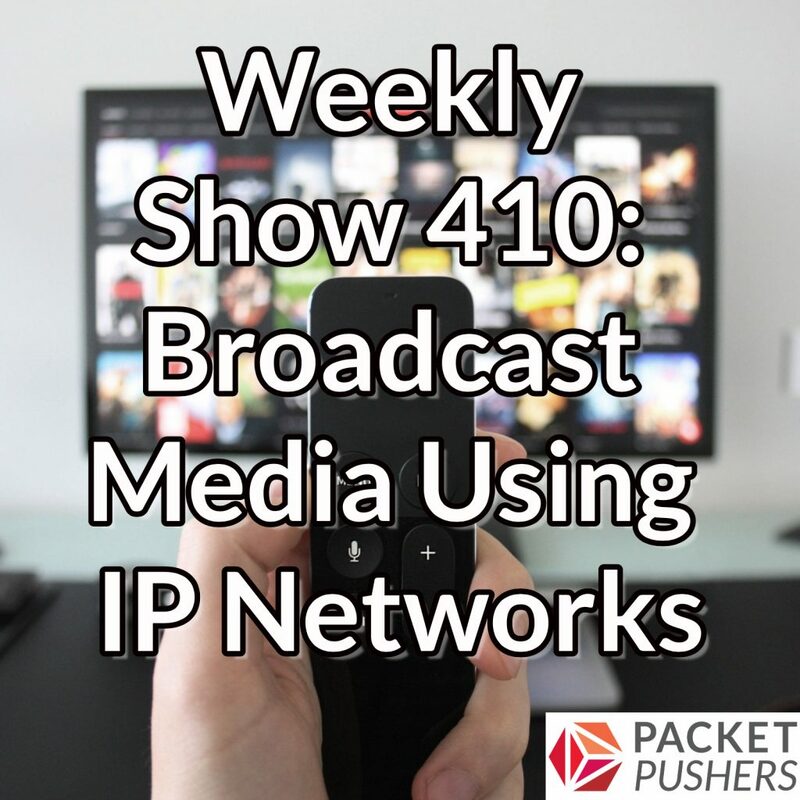 On today’s Packet Pushers episode, we discuss how the broadcast media industry leverages IP networks, the initiatives behind the standards and protocols, and why it all matters to data networking professionals. Our guests are François Legrand and Maxime Caron from the Canadian Broadcasting Corporation. One of the best episodes thus far. I really enjoyed this one. Thanks for saying so, Bruno! The guests came in because of Cyrus Hira, a networker and audio pro that works with us. Cyrus is the unsung hero that made this episode happen. This episode had some very valuable content for me! Thank you!